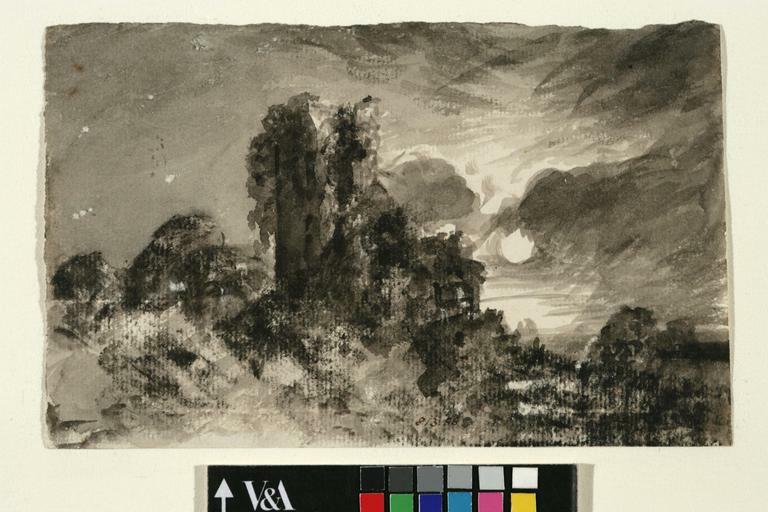 Design for an illustration to Gray's 'Elegy', Stanza III. This design is for an illustration of the following lines of poetry: 'Save from that yonder ivy-mantled tower/ The moping owl doth to the moon complain'. They are from 'Elegy in a country churchyard' (1750) by Thomas Gray (1716-1771). The poem celebrates the contemplative and philosophical aspects of the night. 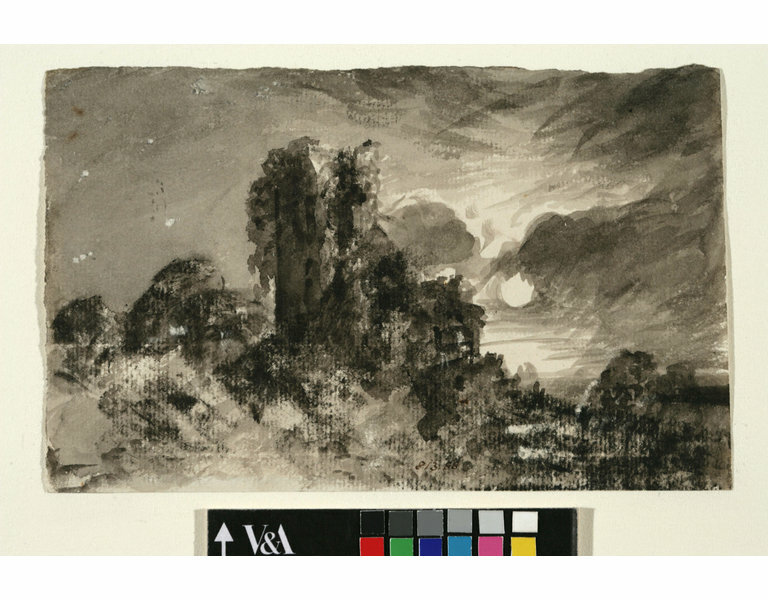 It remained popular throughout the 19th century, when the celebrated artist John Constable drew this design. Charcoal and grey wash on laid paper, design for an illustration to Gray's 'Elegy', Stanza III. 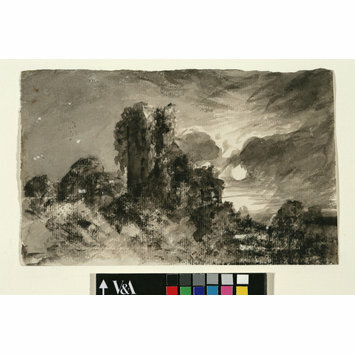 Image shows a moonlit ivy covered tower.